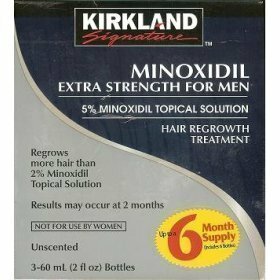 Kirkland generic minoxidil regrows more hair that most hair loss treatments, and it can produce results in as little as two months. 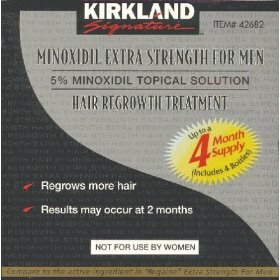 Minoxidil 5 is an extra strength formula for men who have a general thinning of hair on the top of the scalp. 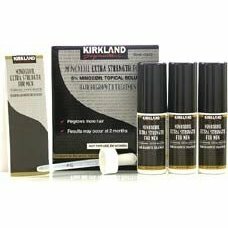 Not intended for use on frontal baldness or receeding hairline.